Last month while upgrading DNS providers, I've been working hard on something brand new. 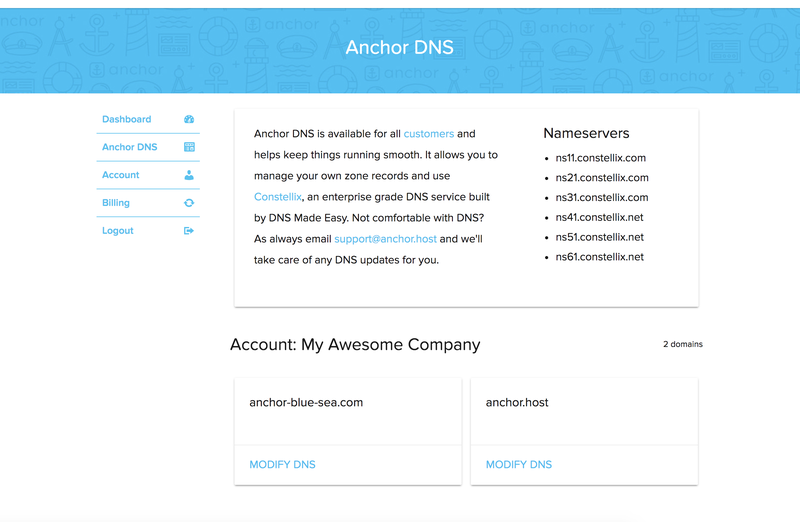 I'm introducing Anchor DNS which is available for all customers included with every plan. If DNS is not something your familiar with, it's not a problem, as we'll take care of any DNS updates for you. Simply email support@anchor.host. For the geeks, read on. 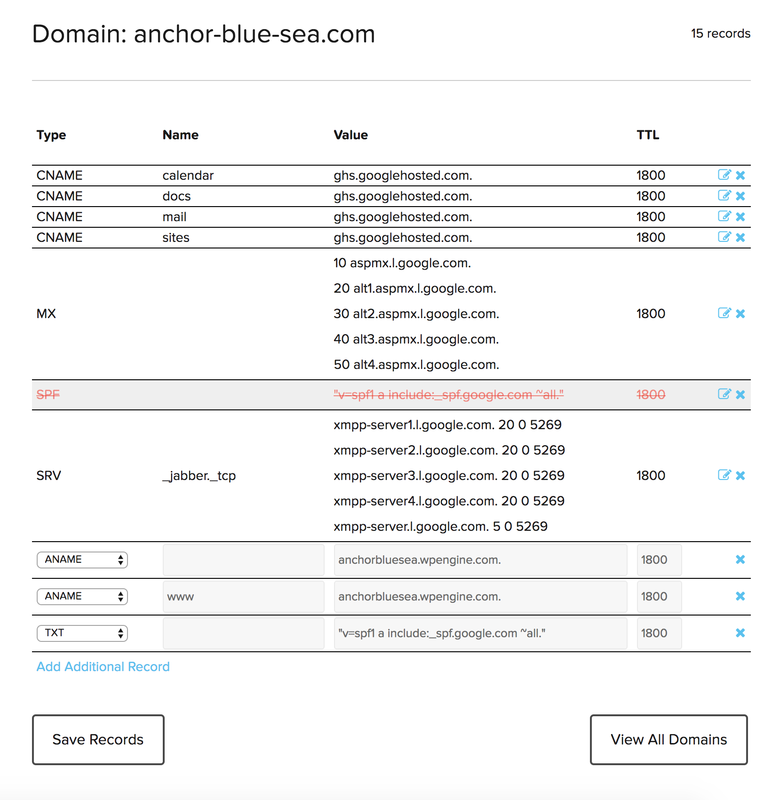 Now DNS records can be managed right inside Anchor's dashboard: https://anchor.host/my-account/. No more need for extra DNS Made Easy logins. The backend provider has been upgraded to Constellix, the enterprise grade DNS service built by DNS Made Easy. Example of the new DNS Editor in action. Here is a quick walkthrough using the new DNS editor.